Dan Ginther marveled at the unique venue where you get to rig and relax in the warmth and calm of the boat park (amongst a fleet of Santa Cruz 27’s, Olson 30’s and Moore 24’s) and then sail out a mile to epic breezy conditions. 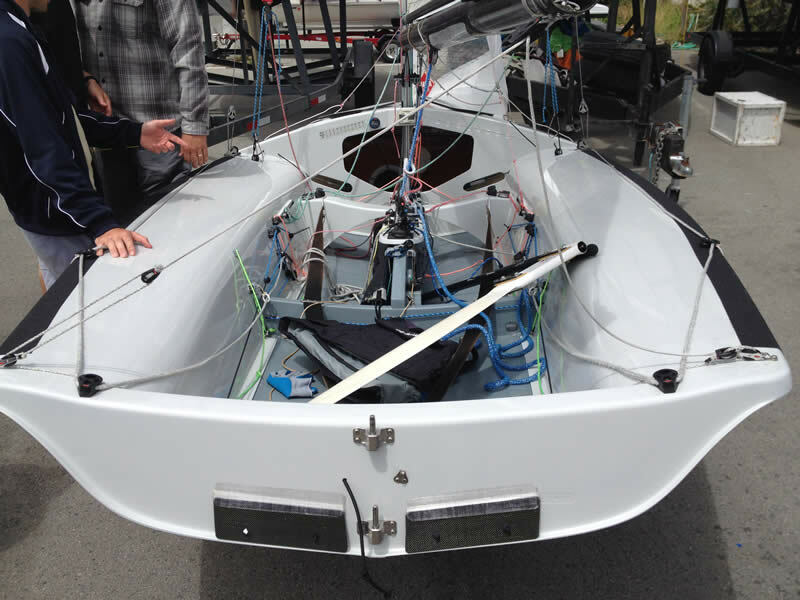 Sean was like a kid in a candy factory, snapping photos of the various rigging solutions on display in the boat park. One of the unique aspects of 505 culture is the openness of information. 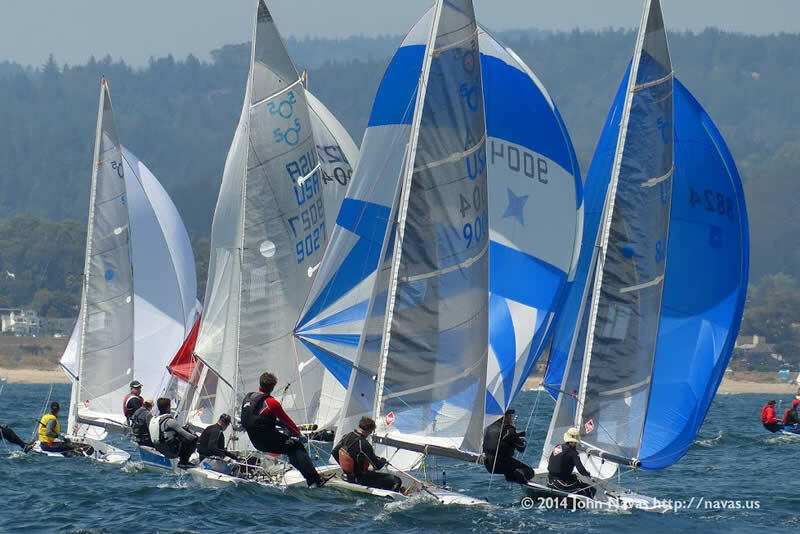 After each day of practice and racing a comprehensive debrief was held where the top boats freely divulged their rig settings, strategies, and tactics. The 505 is a developmental class, so although it was designed in 1954 it has been continuously upgraded with performance enhancing changes like high aspect carbon foils, a larger spinnaker, dual auto-spinn poles, composite sails, etc. Consequently, there is plenty to talk about and wrap your brain around during the debriefs and in the boat park. Every day the PT crew came away with valuable tips that were then tested on the water the next day. 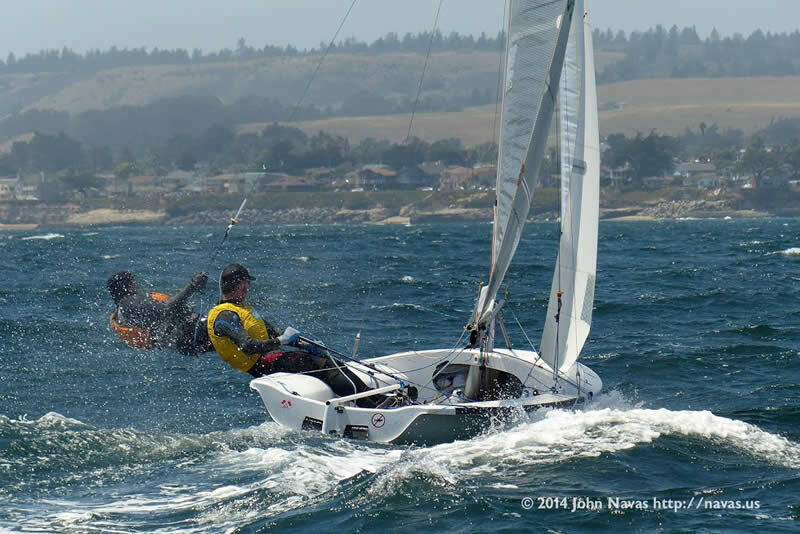 It is safe to say that the PT 505ers came home better sailors and more in love with their dinghies than ever. Anyone interested in going for a sail on one of these special little boats should just hail one out on the water this summer. Wetsuit required!